It can be installed using the Plesk Installer or via the Plesk Extensions catalog. The root password for your old server. You also need to have a new IP address on your new server. You cannot use the same IP(s) that you had previously. Now we start by installing the extension through either the Plesk Installer or Plesk Extensions Catalogue. 1. 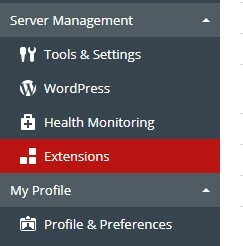 Log in to the Plesk control panel and look for Extensions in the menu on the left side of the screen. Panel Type: Select the panel that you’ll be migrating from. Please note: When migrating between Plesk services, the migration will fail if the receiving server’s version of Plesk is lower than the host server. Address: This is the ip address of the server that you’ll be migrating from. Make sure that the ip address must be set to shared or the migration will fail. Root Password: The root password of your server. SSH Port: The default SSH port is 22, but it is often changed for security purposes. You can locate your SSH port number in /etc/ssh/sshd_config. Temp Directory: It is location where temporary files will be stored during the migration. 4. Once you’ve given all the migration, click Prepare migration. 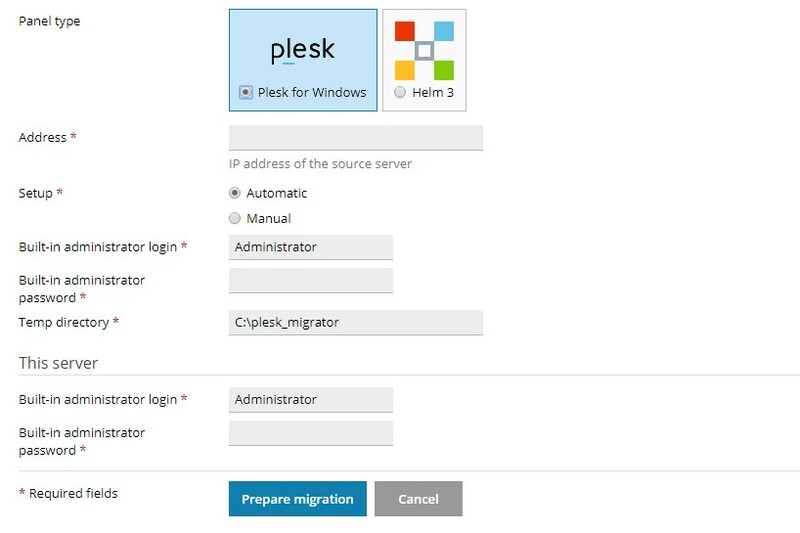 Plesk will now verify if it’s able to connect to the remote server and the setup is compatible with a migration. 5. Once Plesk verify your settings, click Start Migration. This process may take several minutes, Depending on the amount of data being migrated. 6. Once the migration completes, you will be able to access and verify your site data.